As Hurricane Harvey ravaged Southeast Texas last August, one Texas assisted living facility (ALF) became infamous when a photo of elderly residents sitting in waist-deep water went viral. This image and other stories led AARP to examine complaints made to the Texas Health and Human Services Commission (HHSC) about the safety of residents in Texas’ assisted living facilities during and after the hurricane. Records show that a number of assisted living facility residents faced harm, neglect or abandonment during Harvey and its aftermath. Yet the facilities responsible for the residents’ safety faced little, if any, consequence for their failure to protect vulnerable residents. The growth of ALFs is rapidly outpacing the increase of other long-term care providers in Texas. From 2013 to 2017, the number of assisted living beds grew 17.8 percent, compared with 2.6 percent growth in nursing facility beds. Consumers often confuse ALFs with nursing homes, but they are quite different. While nursing homes are able to provide skilled nursing care, ALFs are generally limited to providing personal services, such as helping with medication or with daily tasks like bathing and dressing. Assisted living facilities are increasingly offering memory care targeted at serving the growing population of older individuals with various forms of dementia. A third of Texas ALFs are certified to care for residents with Alzheimer’s or other dementias, but the state doesn’t require this certification for this complicated population’s caregivers. People may not realize that a single-family home with four or more unrelated residents can qualify as an assisted living facility. Assisted living facilities are permitted to house up to four residents per bedroom, with one toilet required per six residents, and one shower for every ten residents. While nursing homes are regulated at both the state and federal level, ALFs are only regulated at the state level. Information about nursing homes’ quality and safety is available online through Medicare’s Five-Star Rating system, but no such data or ranking system exists for ALFs. When flooding occurred, the emergency preparedness and response plans for assisted living facilities were put to the test. At one facility in Houston, residents were left unattended during Hurricane Harvey. Once residents were evacuated by boat, they stayed in the George R. Brown Convention Center for three weeks. In another Houston facility, inspectors said residents were at risk of health issues after the storm due to potential mold and mildew; water damage lines and dark circular areas were observed, among other violations. When flood waters began filling an assisted living facility in Dickinson, none of the vehicles identified in the emergency preparedness and response plan were on site. Nearly eight hours after the facility began to flood, residents were still sitting in waist-deep water, waiting for help. One resident was left behind when an assisted living facility in Victoria evacuated residents by bus to Cedar Park. Hours later, facility administrators realized their mistake and officers from the Victoria Police Department found the resident in her locked room. In these cases, no facility operator paid a fine of more than $1,000, and in some cases, there were no fines at all. 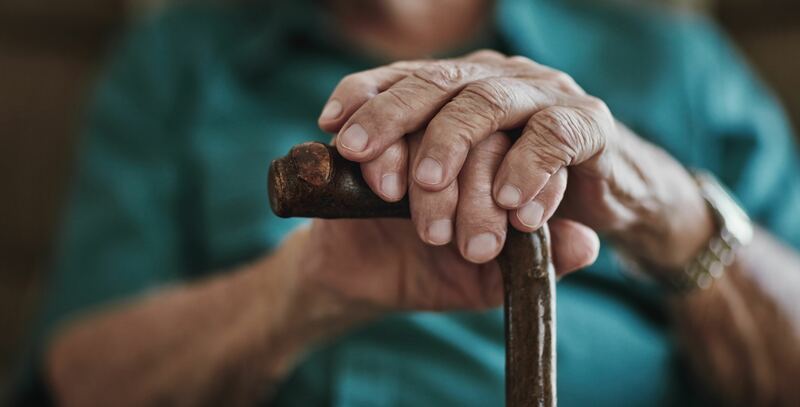 Unlike the safety requirements for nursing facilities, assisted living facilities have few detailed expectations from the state, and there is no requirement to even review their plans for needed updates. In March 2018, HHSC recommended implementing more specific regulations for ALFs related to the content of their emergency plans and requiring mandatory compliance with emergency evacuation orders. AARP endorses these recommendations. With the goal of protecting the health and well-being of older Texans in assisted living facilities, AARP also recommends ensuring fines associated with emergency preparedness are sufficient to deter violations, strengthening requirements for written emergency plans, requiring facilities to notify the Texas HHSC of damage or flooding and then inspecting these facilities after repair to ensure resident safety. There will be another natural disaster. State leaders, assisted living facility operators and the public should learn the lessons of Hurricane Harvey to avoid making the same mistakes. Given the rapid growth of the assisted living industry in Texas and the vulnerability of the residents it serves, increased oversight is imperative.